Why Do I Need Document Protection? PDFs are used extensively to distribute all kinds of information, including confidential documents, such as financial statements, training or technical documentation, business plans, and more. PDFs can be protected with passwords but if the password gets out the document's integrity is compromised. 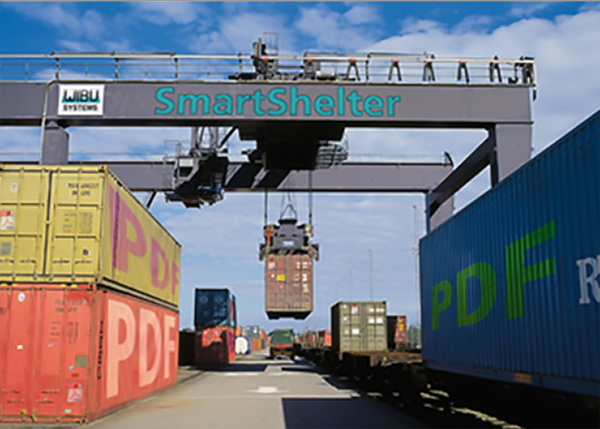 For stronger security, consider SmartShelter PDF from Wibu-Systems. 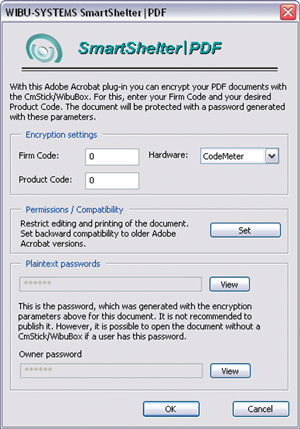 Once installed, SmartShelter PDF adds a new menu to Adobe Acrobat. Selecting “Save Encrypted Document” from the file menu lets you protect your document with very strong AES 128-bit encryption. After that, the document can be accessed only with the suitable CodeMeter stick or WibuBox, programmed for document protection. In addition, individual rights may be assigned to modify or print the document. Finally an owner pass code will be generated, which prevents other readers from erasing a document’s pass code after opening. 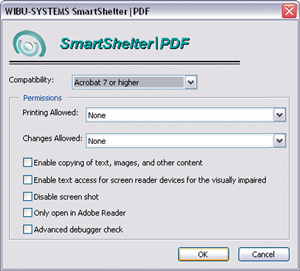 SmartShelter|PDF integrates batch processing capability for Adobe Acrobat. For that purpose a new command Encrypt Multiple Files is available. This command, used in batch processing, permits the presetting of all CodeMeter parameters to produce the encrypted documents. Therefore it is possible to encrypt all PDF documents in a directory or to automatically convert and encrypt Microsoft Word documents in a single step. The Adobe Acrobat Reader opens the PDF document as usual. After detecting a CodeMeter stick with the suitable license code entry, the document will be opened. If the correct CodeMeter stick is missing, the password dialog pops up and requests that a password be entered manually. SmartShelter|PDF protected documents can be displayed on Windows and Mac operating systems.